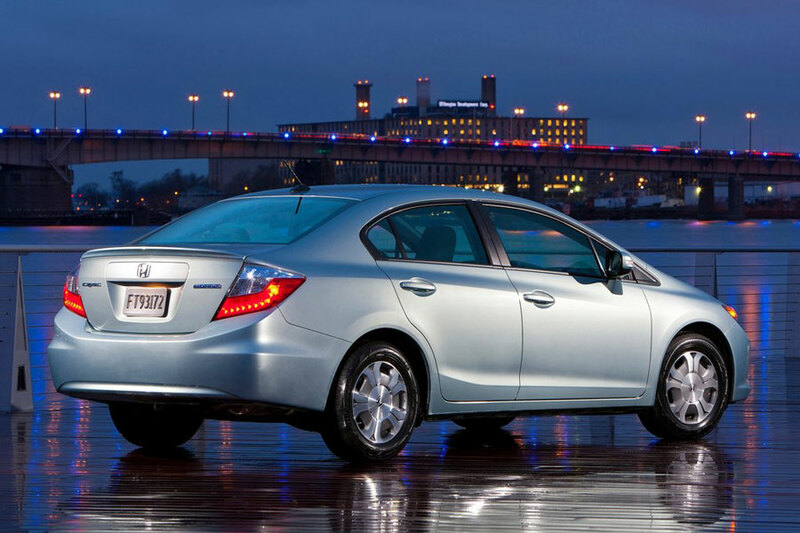 The 2012 Honda Civic Hybrid impressed the market with its improved fuel economy. However, many were disappointed with the exterior and interior that has been described as bland. 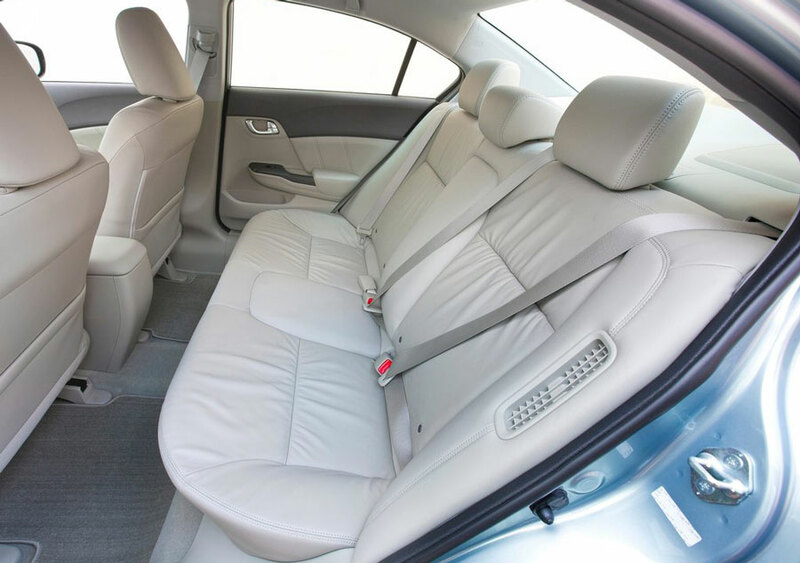 There are few complaints about more options particularly with the interior as other cars in its class offer classier cabins and a lower base price. Nevertheless, the Hybrid Civic comes with more standard features such as a USB interface, CD player, FM/AM radio, Bluetooth, and power doors and windows. 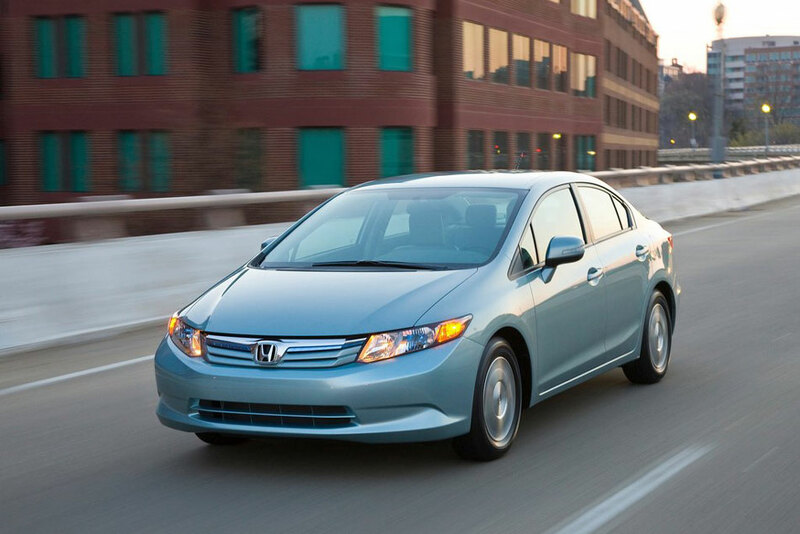 It is reported that the fuel consumption rating of the Honda Civic Hybrid is 44/44 mpg highway/city. Those are better numbers compared to the 2011 model that delivered 43/40 mpg highway/city rating. At a glance, those statistics are good but it may seem too pricey. The entry level Toyota Prius, for example, provides a fuel efficiency rating of 48/51 mpg highway/city at a lower starting price. 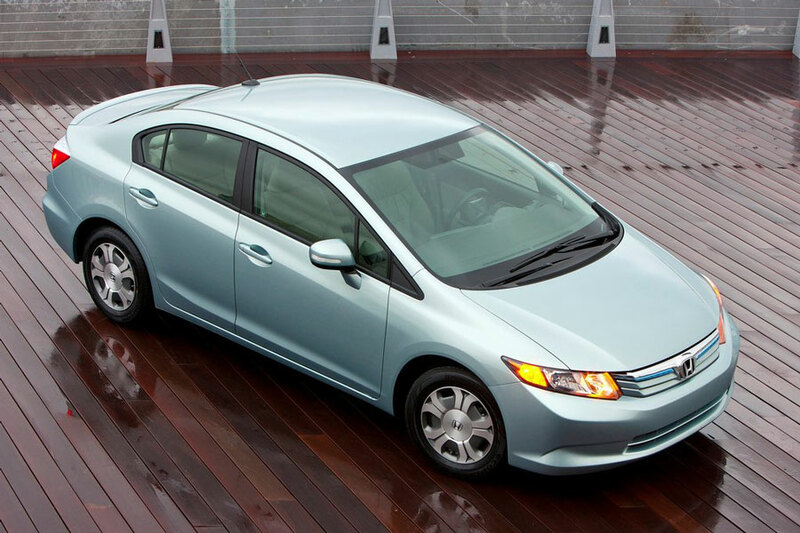 The Honda Civic Hybrid has a 1.5 liter four cylinder 8 valve i-VTEC gasoline engine combined with an electric motor. This combination is called Integrated Motor Assist System. This feature improves the airflow and reduces the friction, both of which are the primary contributors to the car's fuel efficiency. Another interesting thing to note is the pairing of a Continuously Variable Transmission to the i-VTEC engine and electric motor that shifts gears according to the torque load. Then you get 110 horsepower. That is 12 more horsepower than the Toyota Prius and 30 Horsepower less than the Civic that is not hybrid. That is another thing that makes the hybrid Civic fuel efficient. The Civic hybrid is not the fastest car in its class but that is perfectly logical because with this car, Honda is more after fuel efficiency. Certainly, you will not ask for more from the hybrid Civic if you will use it to commute and run errands. While driving, you may also push the ECON button to turn the Eco mode on. This feature increases fuel efficiency by increasing the time the car needs to reach the top speed and by expanding the idle-stop window. 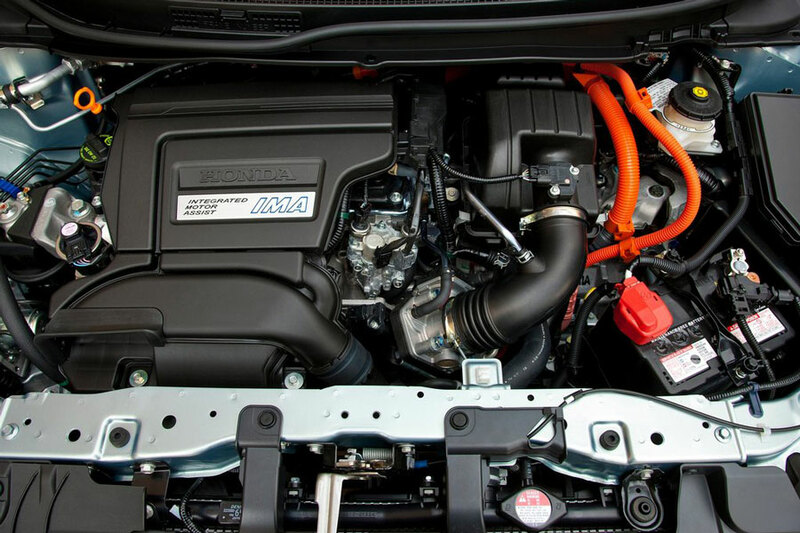 The engine of the hybrid Civic produces 110 horsepower at 5500 rpm and delivers 127 lb-ft of torque between 1000 and 3500 rpm. The exterior of the hybrid Civic gives the impression that Honda is not breaking away from its traditional roots. The design of its forerunner is fresher. There is no actual need for Honda to alter its front and rear appearances which give the new car a more generic look. The previous model is sleeker with finer lines and more gorgeous curves. Looking at the bright side, the interior of the 2012 hybrid Civic is roomier than the previous version. There are complaints, however, that the seats look like pillows because of the manner in which they were stitched. It is true that the interiors are functional but they are not stylish. Honda used plastic on certain parts to the disappointment of car owners. Not only does the plastic look cheap, it also looks recycled. Although there are some lapses on the manufacturer's part, as consumers see it, there are still a lot of things about the 2012 hybrid to commend. We take for example the thinner A-pillars, the increased shoulder room in the front and rear seats, and the improved outward visibility. On top of that, the seats provide better lumbar support. The Insurance Institute for Highway Safety crash tested the hybrid Civic and scored "good" all in the rear, sides and the front. 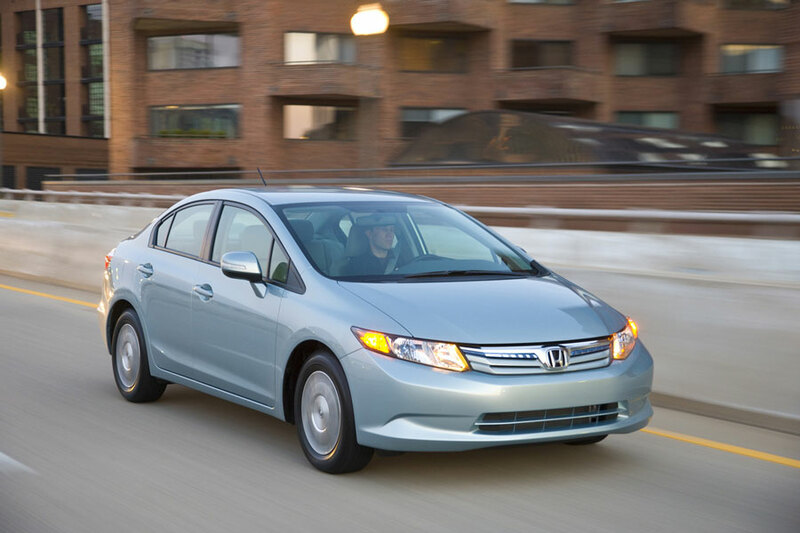 The high score makes the hybrid Civic a Top Pick for the IIHS. The hybrid Civic comes with three-year bumper to bumper warranty, five-year powertain limited warranty, and a five year limited corrosion warranty. An additional warranty is given for the battery but since it varies depending on certain cases, contact your Honda dealer. 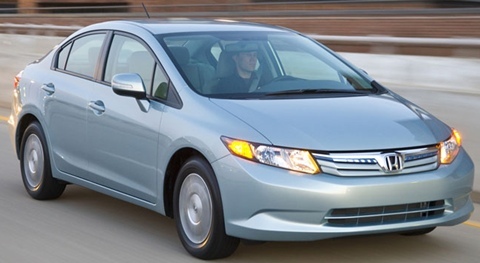 The Honda Civic Hybrid is indeed fuel efficient, only that there is a car that is more fuel efficient. The seats are comfortable too. 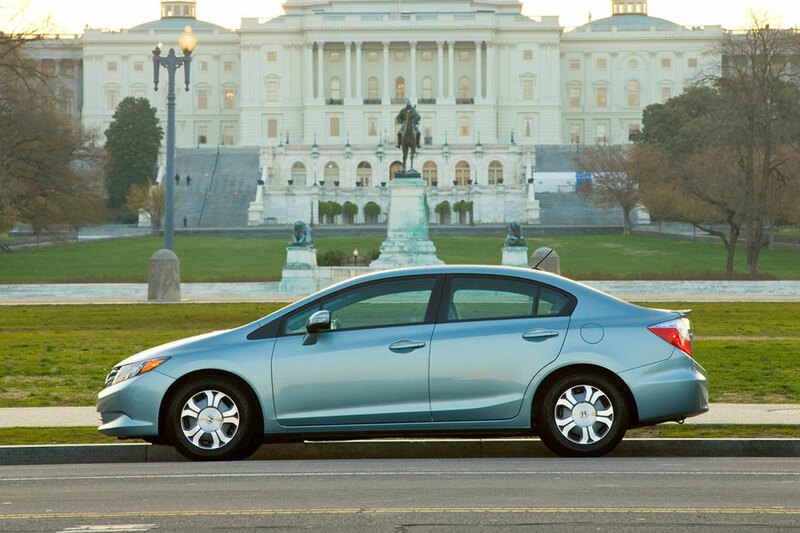 If you are a regular commuter, the hybrid Civic is right for you. The exterior of the hybrid Civic looks more generic. The interiors are less stylish. The Hybrid competition has been growing over the years, the Civic Hybrid has been compared to the Ford Fusion Hybrid (MSRP $28,775; 41 city / 36 hwy), Toyotaâ€™s Camry Hybrid (MSRP $25,990; 43 city / 39 hwy), and the Prius V Three (MSRP $27,315; 44 city / 40 hwy).